Baijiu Cocktail Week will coincide with Chinese New Year to celebrate the most popular spirit in the world known as China's firewater. Dates to be confirmed for next year. Following a successful three years, Baijiu Cocktail Week runs again this year, coinciding with Chinese New Year. Baijiu Cocktail Week is a celebration of the most popular spirit baijiu, over four billion gallons of baijiu are drunk every year. A selection of bars are celebrating the drink that is so ingrained in Chinese culture known as China’s firewater. Looking forward to its fourth year, Baijiu Cocktail Week welcomes you to taste fire. Not yet a familiar spirit in London's bars, Baijiu is a distilled white spirit, which literally means ‘white alcohol’ and is 52% proof. It is brewed using ancient techniques with fermented grains. The spirit has a unique and aromatic nose and pallet. Baijiu has been regarded as a drink to mark celebrations and strengthen bonds for thousands of years. The spirit is hugely popular within the Chinese community and is now starting to make its mark on the UK market with it being sold in SeeWoo stores and Selfridges. For thousands of years it has been regarded as a drink to mark celebrations and strengthen bonds, both business and familial. Baijiu is China’s most popular and traditional drink. For thousands of years it has been regarded as a drink to mark celebrations and strengthen bonds, both business and familial. In ancient times, soldiers would celebrate their battle victories with baijiu. 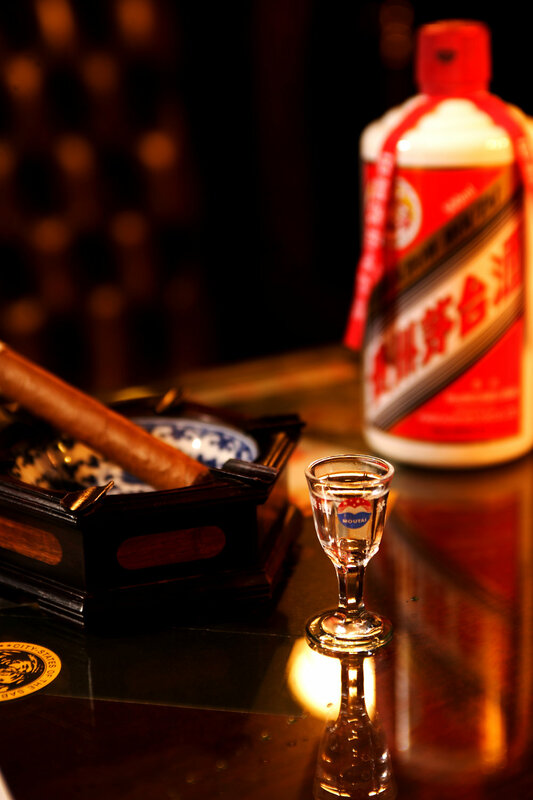 At over 600 years-old Baijiu originates from China’s oldest continuous operating baijiu distillery. To appreciate the baijiu you are drinking, it is necessary to consider the colour, aroma and taste - these three senses will determine the ‘type’. A good baijiu should be bright, shiny and clear with no suspended particles and it is best served at room temperature in small tasting cups. A celebratory toast takes place, 'Yum Sing' (Cantonese) or 'Gan Bei' (Mandarin) meaning 'cheers' before shooting or sipping baijiu. It is traditional to drink baijiu with food rather than on its own, though the latter is not uncommon. With a bold, haunting perfume, crystalline Baijiu, which unfurls from beautiful bottles, is historically served pure in bijou shot glasses. However, its presence as a potent backbone or as exotic seasoning within carefully crafted cocktails has seen it become a popular ask among leading mixologists and their cocktail connoisseur customers, from five-star London hotels to a dedicated Baijiu bar established in Liverpool. SeeWoo’s flagship store is located in the heart of London’s bustling Chinatown. Starting as a small grocery in 1975 serving local needs, the store has now grown into a thriving supermarket stocking a vast selection of competitively priced products. SeeWoo Greenwich stocks thousands of Oriental products for trade and private customers including authentic crockery and cookware, spices, herbs, pulses, grains, noodles, vegetables, fresh meats and more. We also have an extensive seafood range with an excellent selection of frozen, fresh and live seafood available. The largest superstore in Scotland, this vast 60,000 sq ft site houses an unparalleled selection of Chinese, Vietnamese, Thai, Malaysian, Korean, Japanese and other specialitiy products. You will find every ingredient you could possibly need be it fresh, frozen, chilled, dried, preserved or canned. Baijiu is the largest spirits category globally and has been a central part of Chinese culture for over 2,000 years. Moutai is leveraging its global network to make its premium baijiu accessible to consumers around the world. A leading premium baijiu, Moutai’s unique palate and complex characteristics are creating opportunities for drinks connoisseurs to explore and enjoy. Step 2. Drink and Scan: Go to Loyalty page in app and Scan QR in three different bars to win £5 SeeWoo Voucher. First 50 winners can redeem £5 SeeWoo voucher. Refer the App to your 3 friends, first 15 winners get £5 SeeWoo voucher.